MLS# 2642396 Incredible Price Coronado Model! 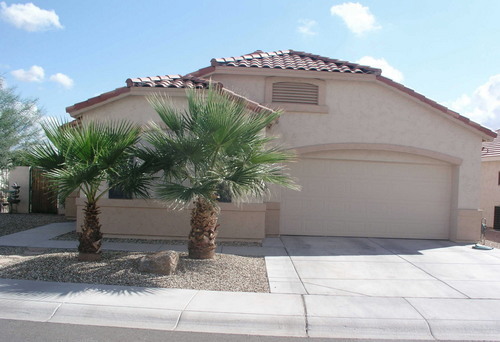 Your Private Oasis, Pool on oversized lot with Lush Landscaping and Outdoor Lites! Spacious kitchen with granite countertops and back splash, upgraded Black appliances, double oven and built in microwave, large kitchen Island and breakfast bar. 18 inch tile, plush carpet, designer paint. Granite counters in Master and Guest BA. Custom window treatments with double cell duet blinds. Many many more options and upgrades, call to see this wonderful home. Garage: 2 Car Extended 4 Ft.